At tarte, we believe in breaking down beauty boundaries, shattering stereotypes and being kind. We believe in high-performance AND natural. We believe in artistry AND good-for-you ingredients. We never compromise when it comes to what we put on our skin, and neither should you. Why choose between beauty that works & beauty that's healthy? An oil-free, vegan tinted moisturizer that offers light-to-medium coverage while blurring imperfections. Diffuses the look of fine lines & wrinkles while protecting skin from harmful UVA/UVB rays & providing buildable, light-to-medium coverage. The Amazonian clay-powered formula features skin-comforting chamomile & antioxidant vitamins A, C, & E to nourish your complexion. Amp up your base with our remixed iconic the buffer™ brush best known for its outstanding performance in foundation application. Your new hot fire holy grail gloss just dropped. This clear gel gloss is infused with hyaluronic acid & reflective floating glitter for an ultra-comfortable, kiss-me-now pout. smells like cake batter, yum! Just like your favorite record, you won’t be able to pick a side! This remixed version of our best-selling double take eyeliner comes equipped with black liquid liner on one side & a metallic gel pencil on the other. Rethink natural this Valentine's Day with tarte! 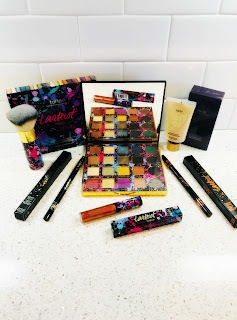 tarte has quickly become one of my favorite beauty brands because their products look beautiful and help me to look my best. I also love that their products contain good-for-you ingredients so they don't irritate my skin! 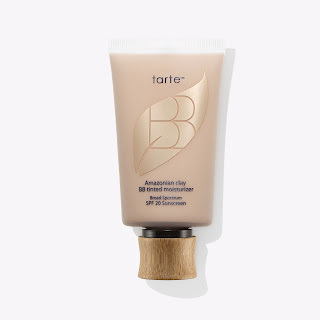 tarte's Amazonian Clay BB tinted moisturizer Broad Spectrum SPF 20 is totally amazing! It's an oil-free, vegan tinted moisturizer that offers light-to-medium coverage while blurring imperfections. I also love that it helps to diffuse the look of fine lines and wrinkles. And, as if all that wasn't enough it even protects my skin from harmful UVA/UVB rays. It also includes chamomile and antioxidant vitamins A, C, & E to nourish my complexion. After only using this product for a few days, I'm absolutely in love. It makes my skin look flawless and actually feels good on my skin. 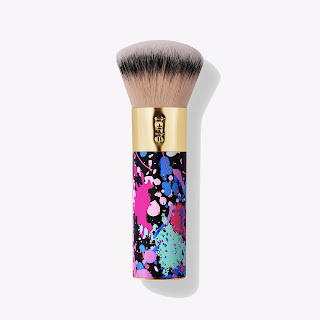 the buffer™ airbrush finish foundation brush from tarte is oh so incredibly soft! It's also incredibly beautiful and is the perfect way to apply foundation for an incredible air brushed look that you'll love. Perfect way to achieve a flawless finish! tarte's tarteist™ PRO REMIX Amazonian clay palette is gorgeous! The colors are rich and vibrant and transfer beautifully to your eyelids. 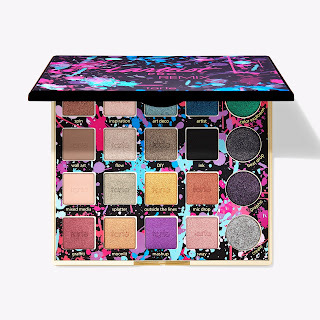 It includes 20 all-new shades inspired by all forms of art & self-expression. The shades blend well and I love how buildable they are! 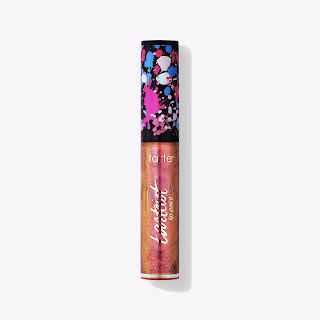 tarte's tarteist™ REMIX lip gloss is the perfect lip gloss! It's a clear gel gloss that's infused with hyaluronic acid and reflective floating glitter for a beautiful shiny lip look. I love that it helps my lips look fuller and that it smells like cake batter! 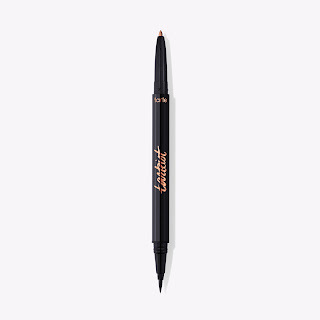 tarteist™ REMIX double take eyeliner from tarte comes with black liquid liner on one side and a metallic gel pencil on the other. Both sides glide smoothly, allowing you to create the perfect eye look. It's the perfect way to make your eyes stand out from the crowd! This Valentine's Day is the perfect time to re-think natural and try a new look with tarte! 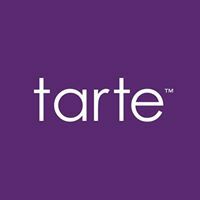 Click HERE to find a store near you that sells tarte! Click HERE to learn more about tarte! Follow tarte on social media!